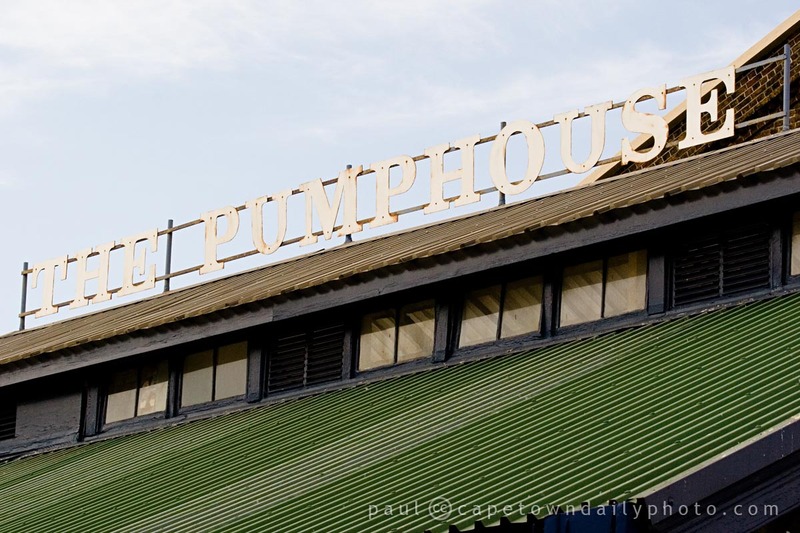 Paul mentioned The Pumphouse in a previous post about the V&A Waterfront. Built in 1882, the building originally housed the dynamo that powered the first set of electric lights in the Table Bay Harbour. According to Eskom's website, there were sixteen 2000-candlepower arc lights at first (you can read more about the use of arc lights in the 1800s here - it's pretty fascinating). The Harbour Board's report to the Cape Colonial Parliament for the year 1882 said that the light "... proved of great service, not only in minimising accidents, but in facilitating the working of vessels at night." More recently, in the 1990s, The Pumphouse was a popular pub and live music venue, one that it seems a lot of people have really fond (if somewhat foggy ;-)) memories of. The reason the building is called The Pumphouse, by the way, is because it contains the pumps used for draining the water out of the Robinson Dry Dock. Posted in Sights and tagged history, v&a waterfront on Sunday, 1 November, 2009 by Kerry-Anne.